Buckwheat plant growing herbaceous of the genus Fagopyrum also known as Fagopyrum esculentum, Common buckwheat, Buckwheat plant annual plant, grown for the edible seeds also used for the edible leaves and as medical plant, can grow in subtropical, temperate, mediterranean or desert climate and growing in hardiness zone 2-11a. 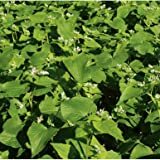 Leaves edible color green in hear shape. Flower color white and can be little bit with pinkish, flower shape it’s stellate. Seeds color brown in drop shape. 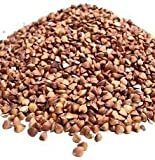 Buckwheat Seeds: Untreated, Non-GMO, 5 lbs. 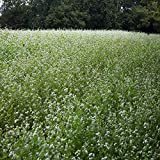 What can be done with big quantities of Buckwheat plant seeds?